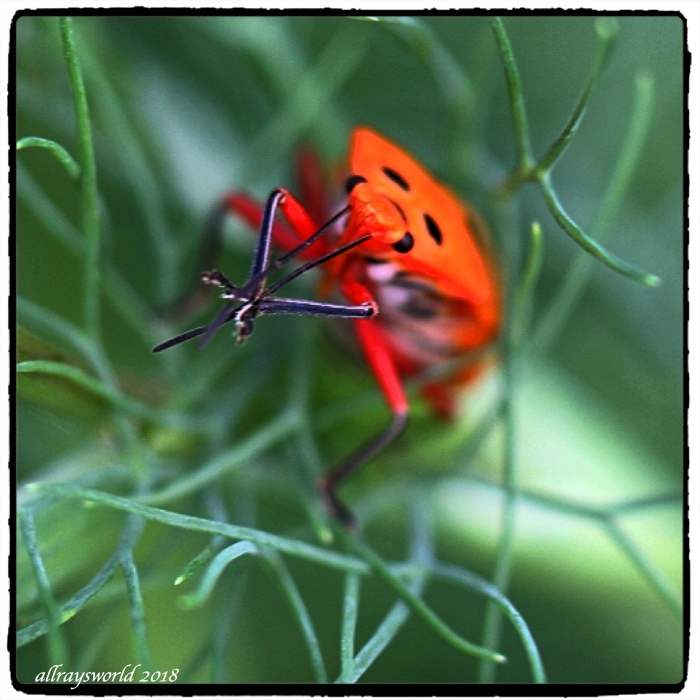 Scarlet Stinkbug preens itself in the Fennel patch. Ray: You are very kind, Larry. Superbes couleurs, j'aime beaucoup la première photo. Ray: Stinkbugs are plentiful, Lisl...I think their protective mechanisms work well. 'Stinkbug' and 'odorous harmony' - that sounds good! Ray: It is very good, Philine. What an amazing colour for just about ANYTHING to be. Must be a warning. Eat me, get ill..
Ray: Stinkbugs are not subtle about anything, Chris. What a fabulous colour! It almost looks man-made; I thinking of one of those fancy things for clipping paper together for people who are too pompous for paperclips. I had some fennel yesterday evening with my dinner. Ray: Fennel is good stuff, Alan...Na made a fennel soup last evening and it was delicious. That is a variety of stink bug we do not have. 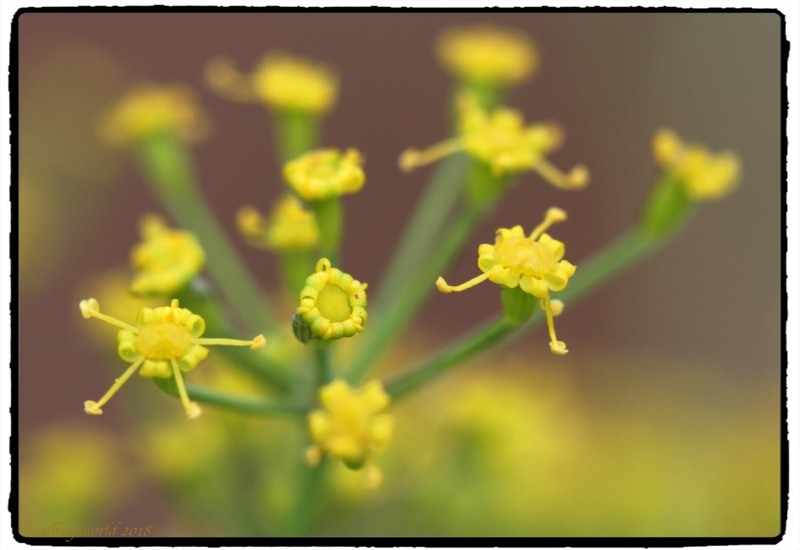 My smell memory never fails me when looking at the fennel. Ray: Fennel is wonderful stuff, and grows here pretty much all year, Mary. Fine shots once again ray. Do theyr eally emit very unpleasant smells or is that just a name for them. A beautiful shot, Ray! He's really pretty! Ray: A lovely thing, Elizabeth.